The first month of VIDA! Health and Wellness is complete and the sessions could not have gone any better! We had such a blast with our VIDA! children and parents, and we cannot wait to see them again for our October sessions! 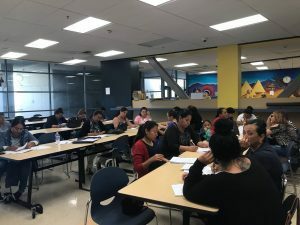 In case you missed it, here is a recap of our 3 September sessions that took place in Watts, South LA and Boyle Heights. The month of September for VIDA! is exciting because we get to see familiar faces from last year, as well as some new faces, too! In total, we had over 70 children and over 50 adults this month! This year we will explore The Healthy Galaxy with our VIDA! families. This consists of taking a visit to the 4 healthy planets of Nutrition, Physical Activity, Sleep Quality and Duration, and Emotional Well Being. Get ready for take-off! We always start the very first month of VIDA! by having both the children and parents fill out healthy habit questionnaires. This provides us with some idea of their understanding when it comes to healthy habits. Along with the questionnaires, we also take the weight, height, and waist circumference of both the children and adults. By doing this, we are able to precisely see their starting points and are able to track their progress throughout the VIDA! program. By April, the last month of VIDA! Programming, we will perform these same measurements and see their progression. 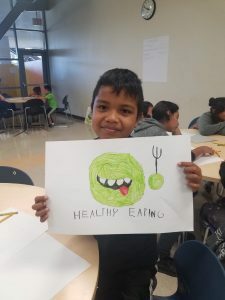 Our hope is that they take all of the health and wellness tips and information they will learn over the course of the program, and apply them on their own. Once all of the questionnaires, surveys, and measurements were completed, it was time to have some fun! After all, Gasol Foundation’s motto is #MakeItHealthyMakeItFun! The children had an art contest where they had to draw their favorite healthy planet. 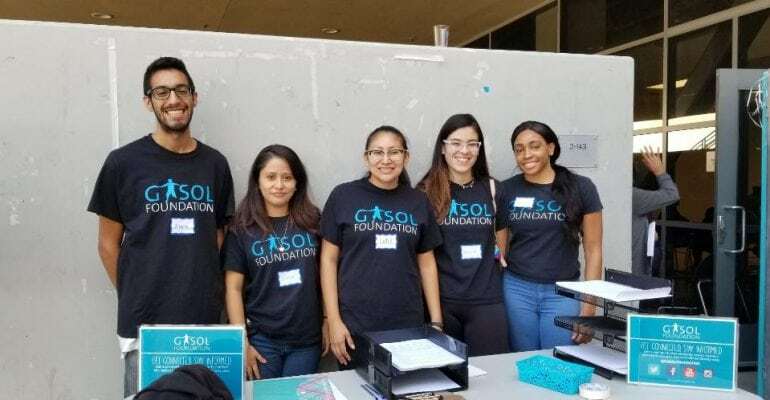 They also had some fun outdoors as well where they participated in what we at Gasol Foundation like to call “free play”. Here, we have various equipment, games, and activities out on the playground and we let the children play whatever they want! The only rule? You have to be moving and active! The children weren’t the only ones that had fun! Our VIDA! parents enjoyed mingling and getting to know one another during their session. They also briefly discussed the healthy planets. As you can see, September VIDA! programming was so much fun! And we’re just getting started! We have a lot more programming left and a lot more healthy habits to teach! 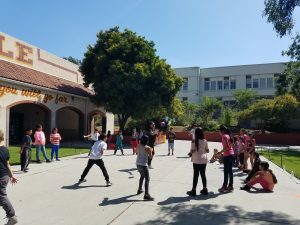 Our next session will take place on October 6th in Watts at Jordan High School.